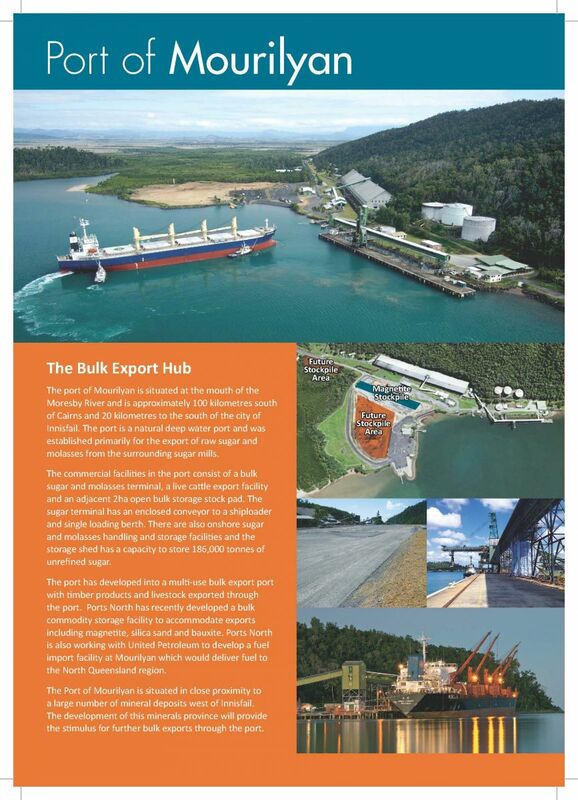 Of the nine ports operated by Ports North in Far Northern Queensland there are three ports which are central to the export and import industry. 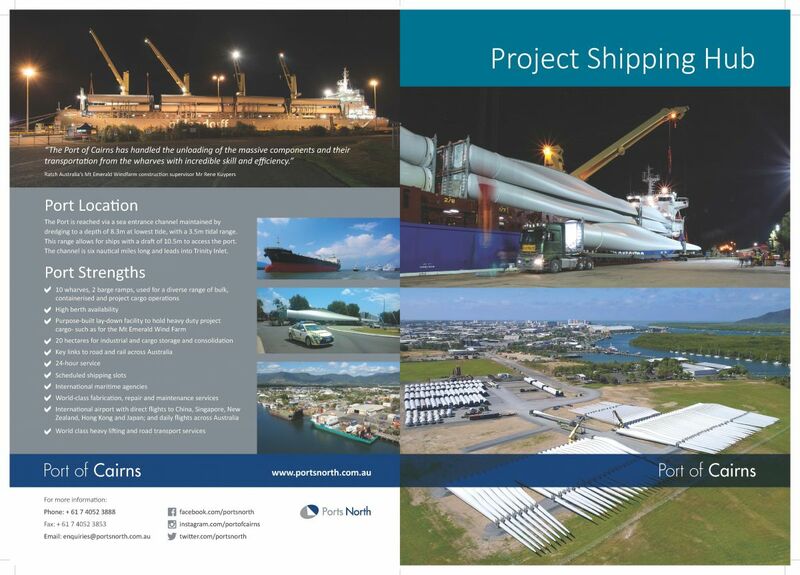 With 10 wharves, easy channel access, no shipping congestion and a world-class maritime industry, the Port of Cairns is an ideal hub for project cargo opportunities at local, national and international level. It is the most northern trading port on the eastern seaboard of Australia, and the natural centre for supplies shipped to the mining and coastal communities north and west of Cairns including the North East Mineral Province, the Torres Strait Islands, Gulf of Carpentaria and Freeport Indonesia. Approximately 100 kilometres south of Cairns and 20 kilometres to the south of the city of Innisfail, the port is a natural deep water port with commercial facilities including a bulk sugar and molasses terminal, a live cattle export facility and an adjacent 2ha open bulk storage stock pad recently developed to accommodate exports including magnetite, silica sand and bauxite. In the south‐east corner of the Gulf of Carpentaria, the Port of Karumba handles general cargo trade for a number of Gulf communities and live cattle exports. 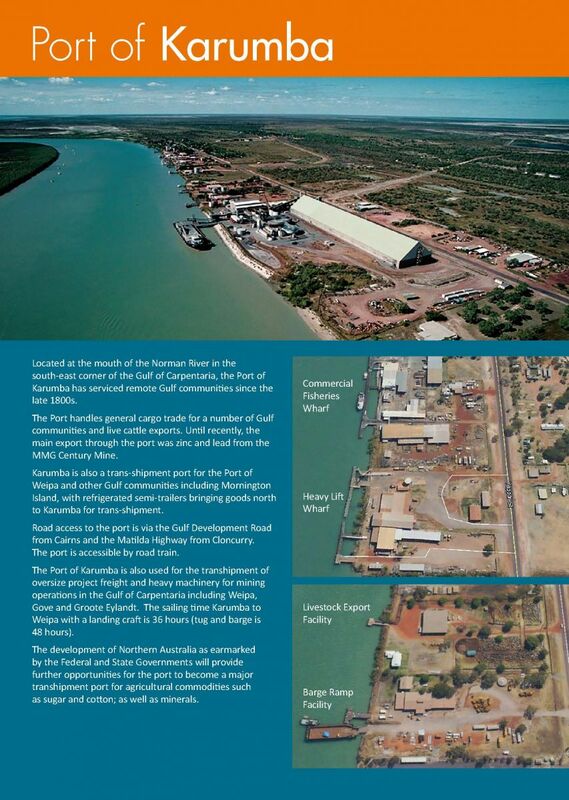 Karumba is also a trans‐shipment port for the Port of Weipa and other Gulf communities including Mornington Island. The Cairns Shipping Development Project aims to develop port infrastructure in order to secure a greater share of the international cruise ship market, enhance Naval capacity and improve port efficiencies.